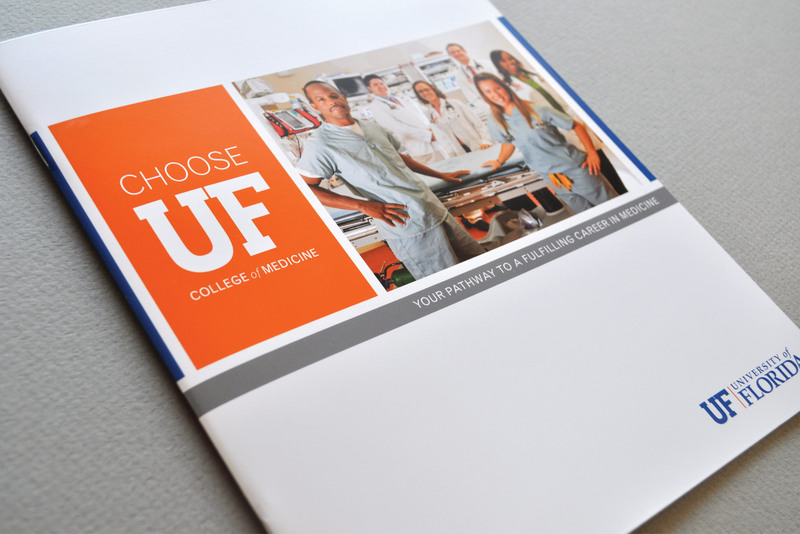 There really is no experience quite like seeing the Gators play football at “The Swamp” and the loyal, vibrant fans that make up “Gator Nation” really add to the experience. 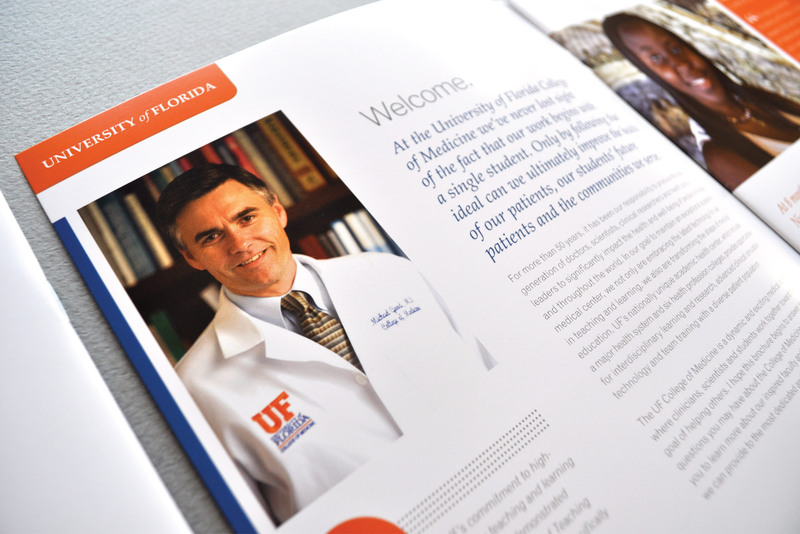 Besides their well-known sports programs, the University of Florida (UF) is also home to some of the brightest, most innovative minds. 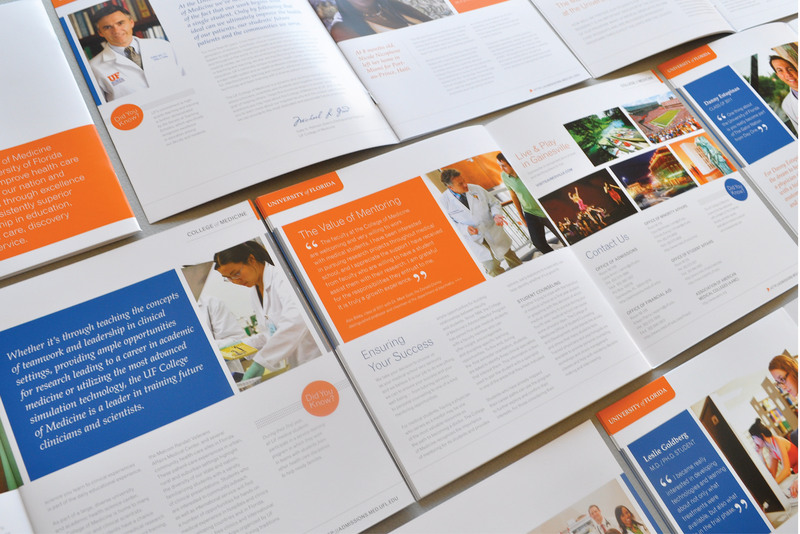 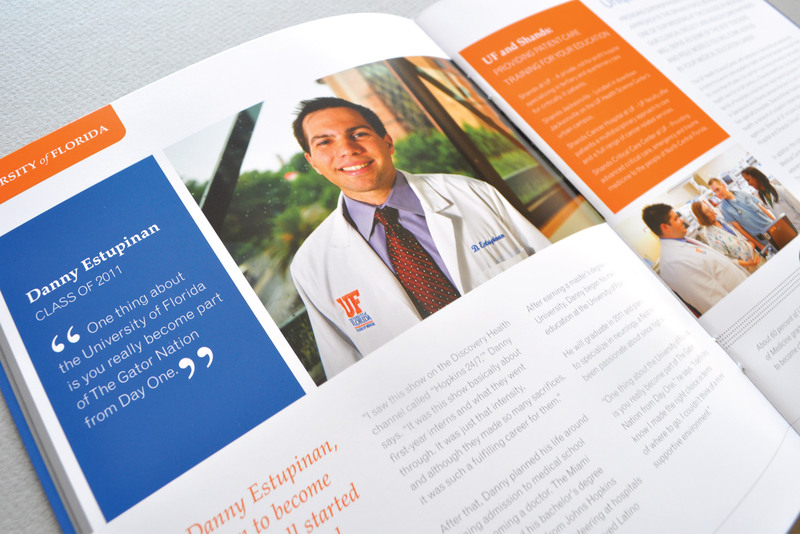 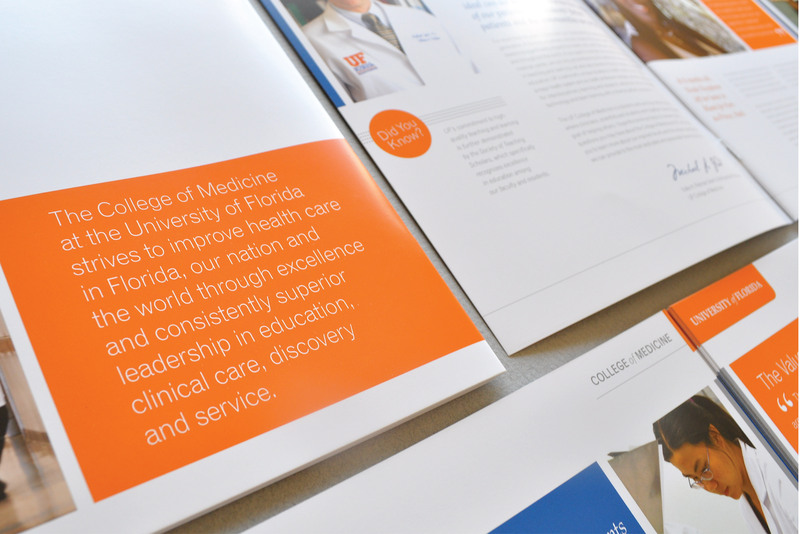 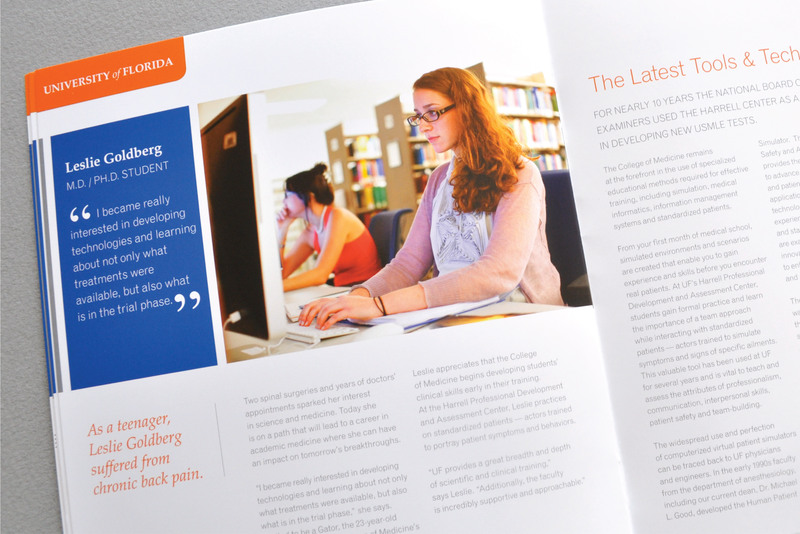 Candour had the privilege of working with UF’s College of Medicine to create this brand-centric promotional booklet used to attract undergraduate students across the country. 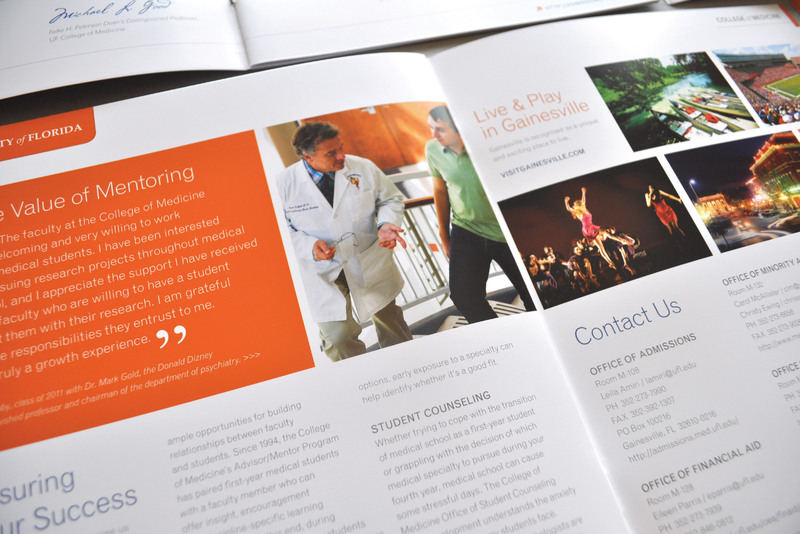 The piece was filled with well-placed custom photography and testimonials from actual students in the program, plus beauty shots of the city of Gainesville.